Warning ! 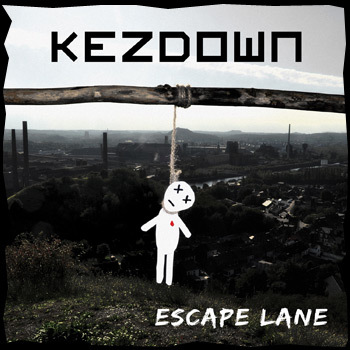 « Escape Lane » the debut album of KEZDOWN is out now. 13 tracks of darky electro with new wave guitars. Available on CD or digital version. Just follow this link : Wool-E-Shop. 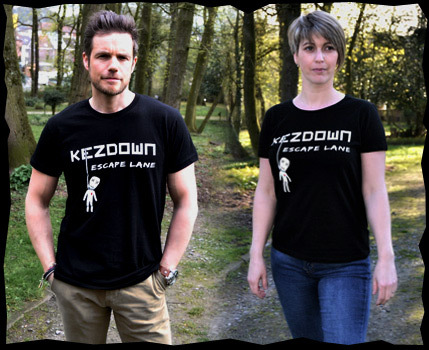 Kezdown "Escape Lane" t-shirts are now in store. 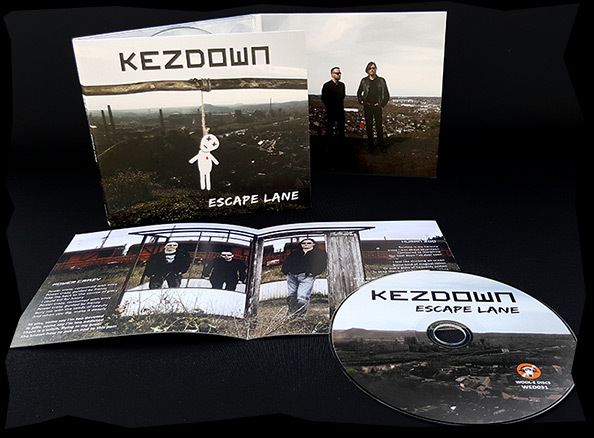 Available at every Kezdown live show. For those who can't wait, mail us on facebook or at this address. 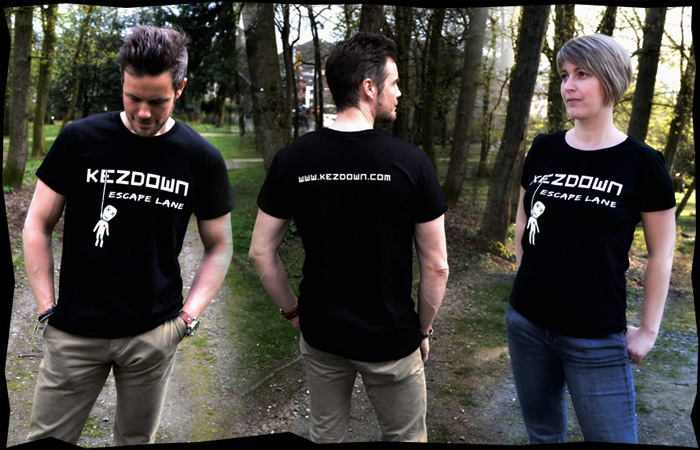 Wear Kezdown or stay naked folks !